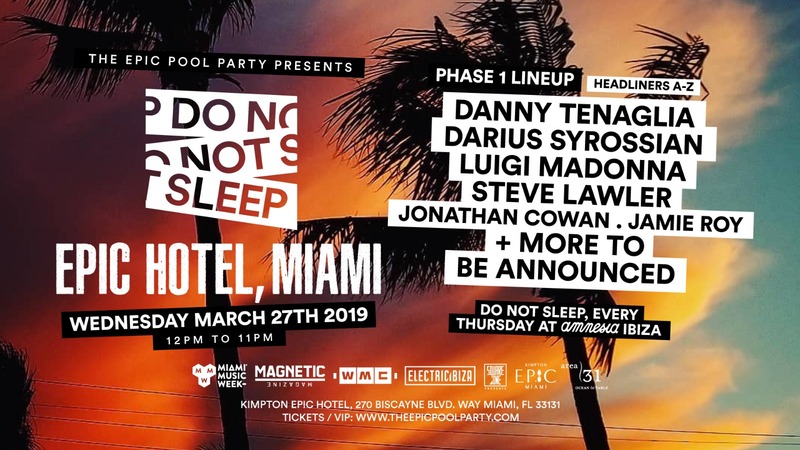 Opening with the Winter Music Conference’s official opening party on Tuesday March 26th, the EPIC Pool Parties are quickly becoming Miami Music Week’s most talked-about events. A partnership between Electric Ibiza, Jonathan Cowan and the Kimpton EPIC Hotel, the week sees some of the scene’s biggest party crews taking charge of the iconic rooftop pool with a who’s-who of dance music in tow. 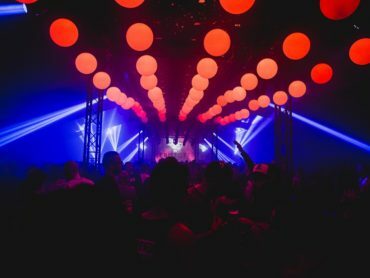 Even with the weekend plans still firmly under wraps, Do Not Sleep, Defected and Repopulate Mars have now dropped their respective line-ups and, as expected, it’s more than just a statement of intent. As part of the brand’s appropriately epic 20th anniversary celebrations, Thursday March 28th will see the Defected family deliver their infectious house sound with some seriously heavyweight talent on show. The legendary Kenny Dope will be their first special guest, with sets from Sam Divine, Riva Starr and Monki all showing why the brand is still top of their game after two decades. Low Steppa and Josh Butler will both be dropping some serious fire as Jacky, Jess Bays and Ferreck Dawn round off a premier showcase from the biggest crew in house music. Arriving though the stargate on Friday March 29th is Repopulate Mars’ crack team of the finest tech house selectors in the galaxy, with Lee Foss leading the way. Joining him is house legend MK, with Detlef and Nathan Barato going B2B, and Michael Bibi delivering some serious bassweight of his own. Eli Brown will be playing B2B with Mason Maynard, whilst Max Chapman, Secondcity and Huxley go toe-to-toe-to-toe for an exclusive B2B2B. Joining the already solid line-up are scene favourites Prok | Fitch and Danny Howard, with Mirko Di Florio, Natalia Roth and Kaysin completing what is promising to be one of the week’s most eventful parties. Oh, and did we mention the special guests? The calibre of talent being prepped for arrival is raising the bar and ensuring the EPIC Pool Parties are going to be the crown jewel in the WMC’s fresh new look for 2019 – earlybird full week passes are available now for just $100, with the price set to increase to $150 on Friday February 1st.